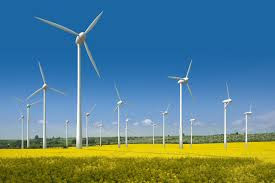 Dixon…State Representative Tom Demmer (R-Dixon) passed legislation in the Illinois House before the end of May to extend the process by which wind energy devices are assessed for property taxes, providing stability for both the industry and local taxing districts. Prior to the passage of SB 2612, the assessment process for wind energy devices was scheduled to sunset in the tax year 2016. Under the terms of the legislation, the assessment process will be extended five years, until 2021.